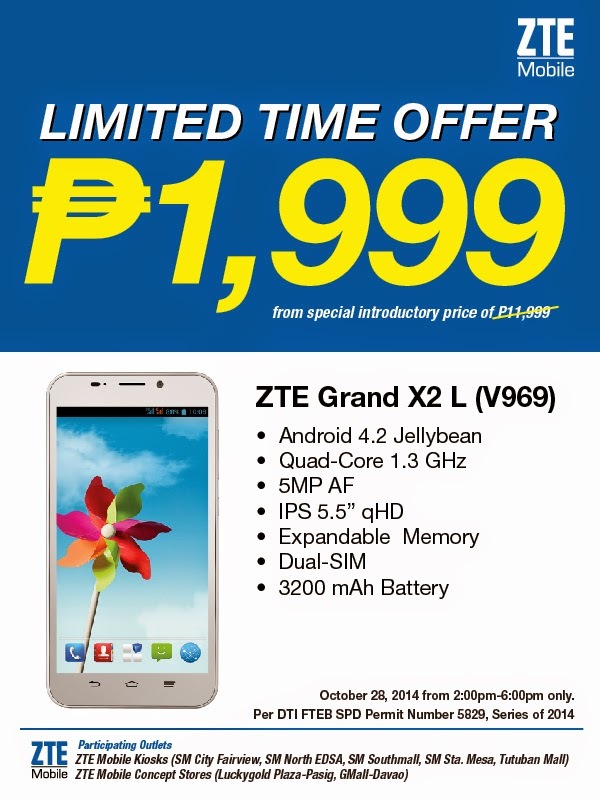 ZTE held a Fire Sale of their ZTE Grand X2 L (V969) handset last October 28 which slashed the price from Php 11,990 down to Php 1,999! It is expected from this kind of promotion to spark the interest of the public and sure it did as participating outlets, ZTE Kiosks and Concept Stores got flooded with interested buyers. To their dismay, very limited stocks were available; there was even a store reportedly to have 15 units only ironically for the throng of people who went there! Now ZTE apologizes to the public and releases an official statement. Thank you so much for the overwhelming support for the ZTE Mobile Sales Promo. We appreciate the efforts made by the thousands who went to our kiosks and concept store yesterday. We did not expect such an overflow of interested buyers, hence the shortage. We are very sorry for the inconvenience. Truly, we made a mistake in underestimating the response and we appeal for your understanding and compassion. As a responsible organization, we are finding ways to address the concerns of those who painstakingly queued to enjoy the offer yet went home disappointed. As we are humbled by the reception the public has given our campaign, together with MSI-ECS, our distributor, we are committing ourselves to coming up with better initiatives, more aggressive promotions and up to date mobile devices that will benefit more Filipinos in the coming days. Again, our sincerest apologies for the inconvenience and disappointment we have caused. The Philippines is yet to become a mature market in the smartphone industry. The overwhelming reception to these gadget sales is one of the signs that we are getting there. The buying public is very smart enough to seek for an affordable device with high-caliber specs. And ZTE intended to give that to the public.